Both cars failed to finish, Hawthorn shared the 335S with Luigi Musso, the cars engine cried enough on lap 56 and the 500TRC also had an engine problem withdrawing after the completion of 235 laps. 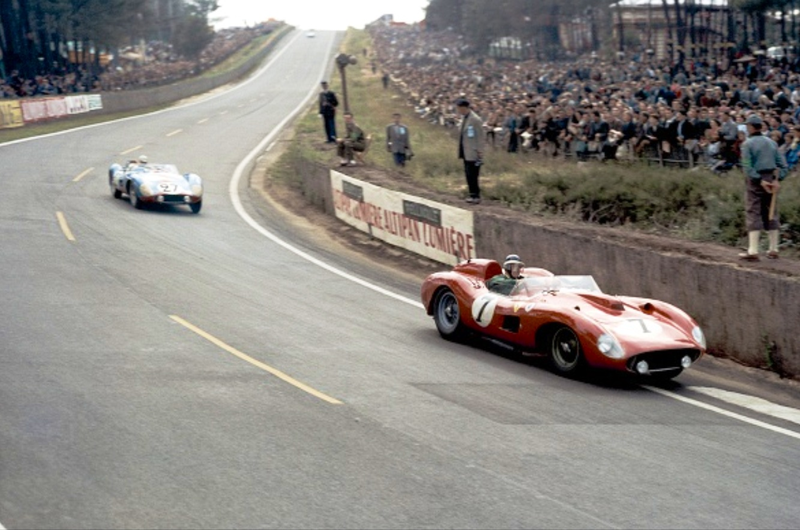 1957 was a D Type rout- the Ivor Bueb/Ron Flockhart D won from the similar cars of Lawrence/Sanderson, Lucas/Brousselet and Frere/Rouselle, all of which gave Ferrari something to think about! The best placed Ferrari was the 500 Testa Rossa driven by Lucien Bianchi and Georges Harris but it was 39 laps adrift of the winners.